We had a great year with Kiva, loaning to a total of nine small business owners in nine different countries: Kosovo, Albania, Mali, Zimbabwe, Benin, Sierra Leone, Indonesia, Jordan and our last microloan of 2013, headed to Emmanuel in Rwanda. Emmanuel has been a farmer for six years. His loan, funded by us and 41 other lenders from around the globe, will go towards the purchase of farming supplies that will help him to increase production. He then would like to invest back into his farming business to be able to purchase machinery and tractors to further improve his business. We love loans like these, that help business owners to expand and grow their businesses and improve their livelihoods. 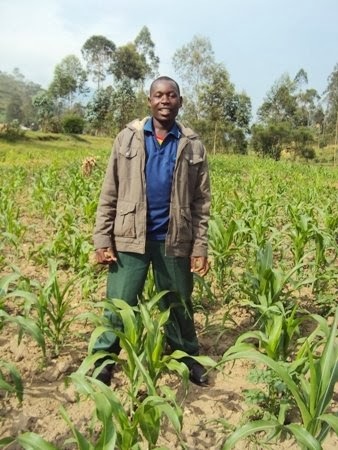 Our loan to Emmanuel is our 52nd microloan with Kiva. We’ve set a goal to loan to small business owners in all of the countries represented on Kiva. So far, we have loaned to entrepreneurs in 33 countries, with 40 more to go. In other Kiva news, Innkeeper Brigette has been a member of Kiva’s volunteer editing team for a few years now, editing loans before they are posted on Kiva’s site. We’re excited to share that as of December 26, she has now edited loans from 2,600 borrowers.